TLC is committed to helping people improve their quality of life through Upper Cervical Chiropractic care, whole food nutrition, and the teaching of holistic methods that they may share in abundant health, happiness, and wellbeing. We have learned that health and wellness is a gift, and we must do our part to take care of this gift. Having abundant health and being well can be enjoyed by everyone. It is not just a hope and a dream. This is what TLC for Life is all about. We want to provide education, services, and products that help people claim their gift of Health and Wellness. On Tuesday, March 25, 2008, ABC's Good Morning America featured a segment on Upper Cervical alignment. A pilot study performed by the University of Chicago Medical Center confirms a reduction in high blood pressure and paves the way for a larger study. To watch the video, please click here. Welcome to TLC for Life! Located in the heart of Mangum, the leading health professionals at TLC for Life are dedicated to helping you achieve your wellness objectives -- combining skill and expertise that focuses on upper cervical chiropractic wellness. Dr. Ben Locklear is commited to bringing you better health and a better way of life by teaching and practicing the true principles of chiropractic wellness care. Patients seeking treatment at TLC for Life with Dr. Ben Locklear are assured of receiving only the finest quality care through the use of modern chiropractic equipment and technology. Dr. Ben Locklear and the staff have a genuine concern for your well-being! If you are new to our website, please feel free to discover and learn about chiropractic wellness. If you are interested in starting your journey towards wellness please subscribe to our award winning newsletter. If you are already a newsletter subscriber, please explore the member wellness section of our website for wellness articles, resources, and health facts---specifically targeted by Dr. Ben Locklear to your wellness needs and interests. Dr. Ben and Karen realize from experience that you can't do what you don't know. If you know better, you can do better. 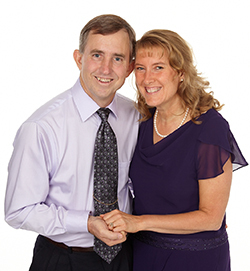 "Dr. Ben and Karen and their team of people really care about you. They have first-rate care at TLC and I only wish my schedule would let me go see them more often." "Amazing service and wonderful people!" "Been coming to see Ben Locklear for years now. The care you get here is amazing! Not only do they do upper cervical chiropractic care, but they have so much more to offer. They carry Standard Process, Restore, Total Vegan, Power Greens, coconut oil, organic chocolate for the chocolate lovers and so many other wonderful products! If you are looking for higher quality supplements TLC For Life is the place to go."